You're guaranteed one thing for certain every year: Pests will always try to invade your home. The pest population rises and falls each year depending on the weather. Increased rainfall means a boom in mosquitoes. Drier conditions mean more rodent infestations. If you're sure about one thing going into the New Year, it's that pests will be a problem in our area and across the country. Warm temperatures and wet conditions will give rise to mosquitoes, ants and termites in the summer. During the winter, rodents and crawling insects will seek shelter indoors to escape from the cooler weather. These pests will linger indoors during 2018 and cause severe infestations toward the summer. These regions experienced a warm and wet summer, which led to an increase in ticks, rodents, crawling insects and mosquitoes. Both regions are forecasted to have wetter and cooler winters. The residents who live here should be on the lookout for rodent infestations and higher mosquito populations, especially as the weather warms in 2018. The summer here in Idaho was hot and brought severe heat and drought to some places. The warmer weather and drier conditions increased the rodent population and sent the pests looking for new places to find water and shelter. The dry weather is expected to continue into the winter but bring about cooler temperatures overall. Mice and rats that have invaded homes will stay indoors through the winter and breed in the crawlspaces, the attics and other hidden places in your home. You don't have to suffer through another year with pest infestations. A drier winter may send more rodents inside looking for water, food and shelter. As the temperatures drop, they'll stay inside where it's warm and they have protected areas in which to build nests. 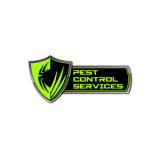 Pest Control Services in Idaho Falls has pest protection plans to keep insects and rodents out of your home. Our technicians can kill existing infestations and prevent recurrences throughout 2018.